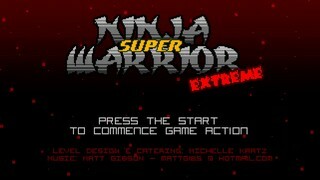 Super Ninja Warrior Extreme is a 2013 Indie PC game that features a distinct lack of pirates. Seriously, why are there no pirates? Or dinosaurs. I could settle for dinosaurs. Best time: Single-segment 0:08:12 by David Heidman Jr. on 2013-07-29.